Undyed cashmere fiber is extremely warm in order to serve its original purpose of protecting cashmere goats from cold mountain temperatures. Also, it has maximum softness and loft. Undyed White Cashmere is the most valuable because of its superior softness. 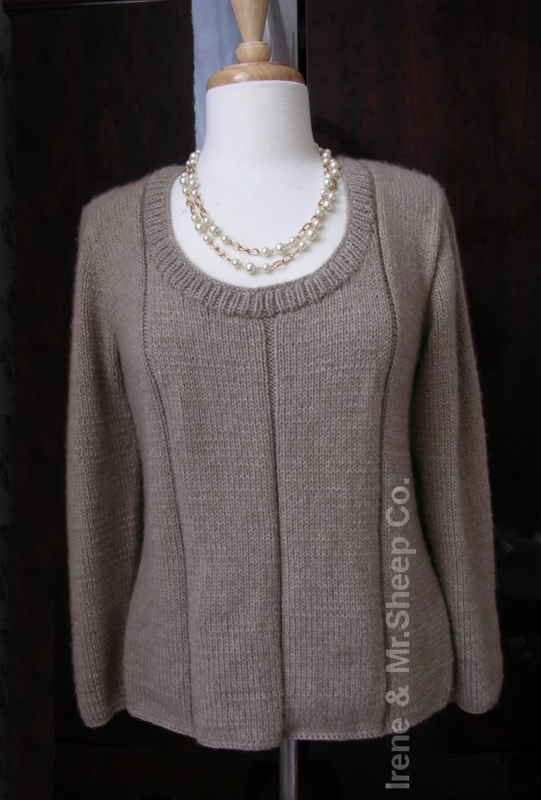 Undyed cashmere ranges in colour from Winter White to Chocolate Brown, with a number of gradations of Brownish-Grey. Garments made of this cashmere are also exceptionally long-lasting. Do not stress the fiber, use woolwash No Rinse! Garment Care: gentle hand wash in lukewarm water with Eucalyptus wash or washing medium such as Dawn. Use the same temperature of water for wash and rinse to avoid "shoking" the fiber. Do not wring out the garment, but make a ball and gently squeeze it to remove excess water. Lay flat to dry, avoiding exposure to direct sunlight, and gently reshape. DRESS © TENDANCES Tricot № 34-2017, yarn: Lana Grossa Cashmere Fine. • CASHMERE PULLOVER © SANDRA № 10-2010. • Men's Vest, © Fait Main No. 8, 2008.